Ocado has some delights on their site that somehow manage to get added to my basket, I literally have no idea how this happens …… Last week I spied a Cadbury import in the name of Cadbury Chocolate Fish. 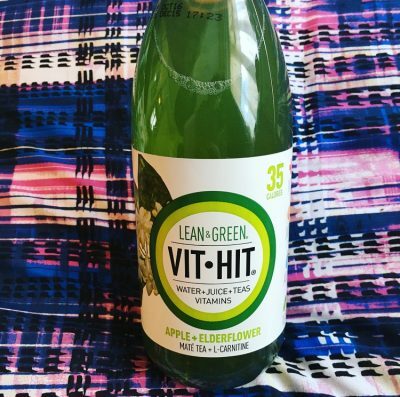 This little number is from New Zealand and was a mere 70p, the cheapest I have ever seen an import for. 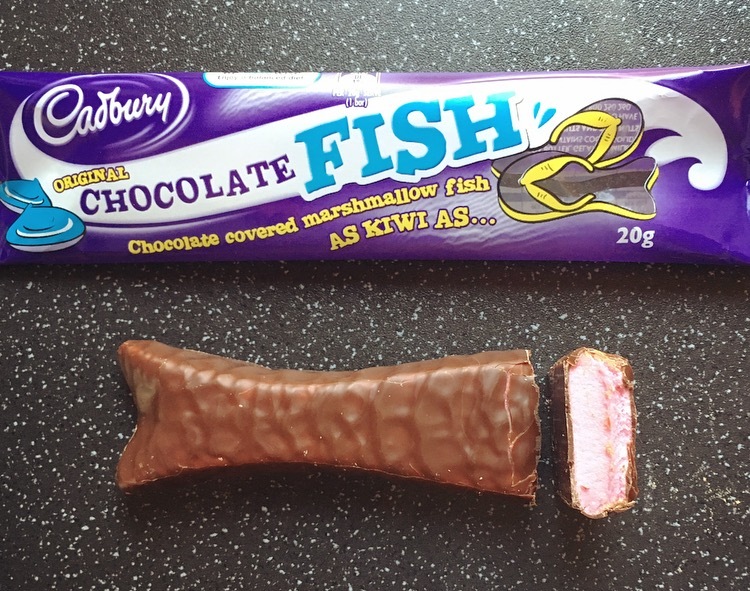 In a nutshell this 20g Cadbury number is a Chocolate covered marshmallow fish. Simple! The chocolate had its usual Cadbury aroma and cutting in it was incredibly sticky. Most surprising however was the bright pink marshmallow inside. The picture really does not do it justice on how bright pink it was, and I did get a tad bit excited at the prospect that it could be a flavoured marshmallow. 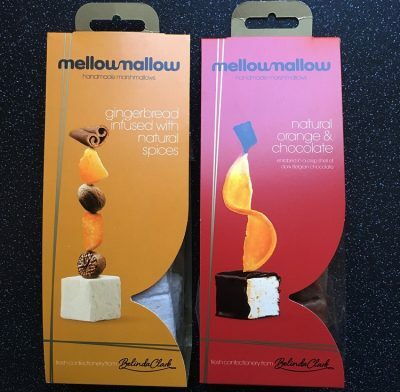 Alas no the excitement was soon whipped away, the marshmallow is a standard mallow. The chocolate is just a thin layer coating the marshmallow, and is a lot darker and slightly more bitter than the standard Cadbury chocolate we have here. The marshmallow is neither here nor there, yes it provided that soft yet chewy and sticky texture of manufactured marshmallows, but it did not bring any flavour to the table. A positive factor however is that the marshmallow wasn’t overpoweringly sweet. 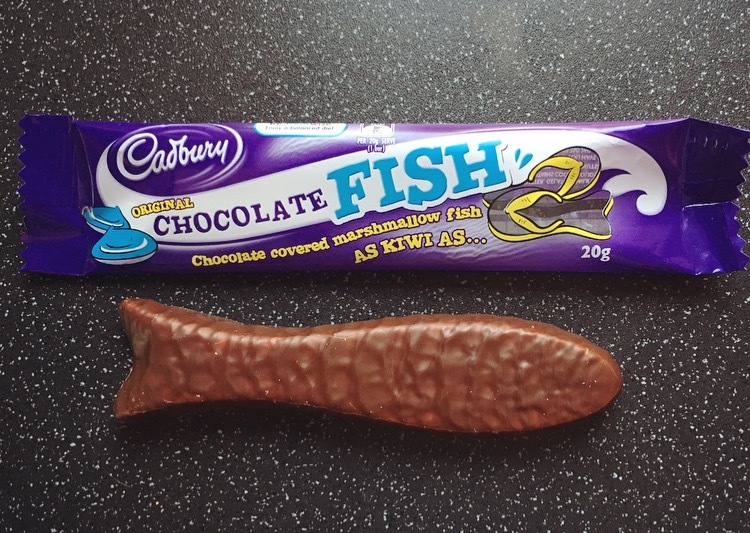 As a whole this Cadbury Chocolate Fish is rather yummy and was gone before I knew it. The saving factor here was the Cadbury chocolate which brought the only flavour you are going to get. At 70p you can’t go wrong really if you want a slightly naughty treat and I would happily have one of these again. As usual Cadbury UK is severely lacking in the product department. Perusing the Cadbury NZ website they do a real array of Cadbury products, which I hope and pray will make it’s way over here, and perhaps Ocado may even stock a few!